Hi, I have a Stan Pike – I am 5’6” and the frame size is 21.5”. 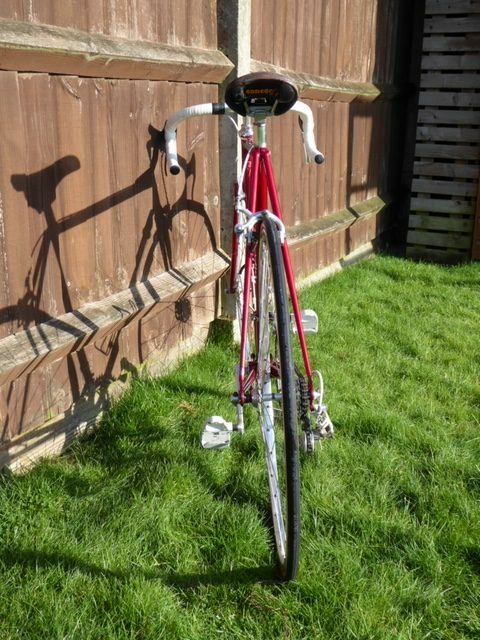 It is a road frame with no mudguard eyes etc. 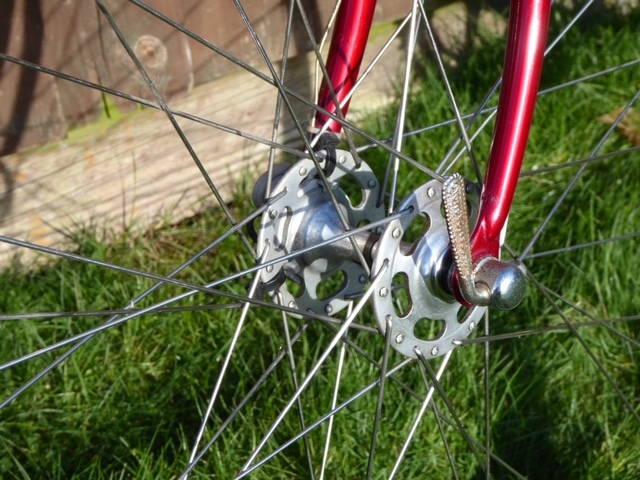 It is equipped with campag group set. 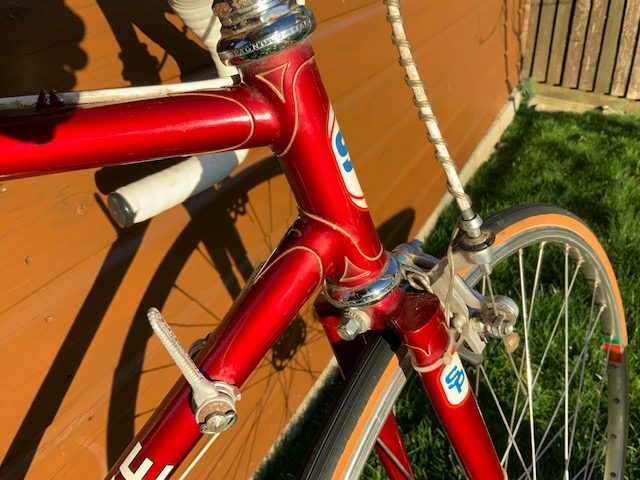 The frame number is SP 25360. I am the original owner, the frame was made in about 1981. 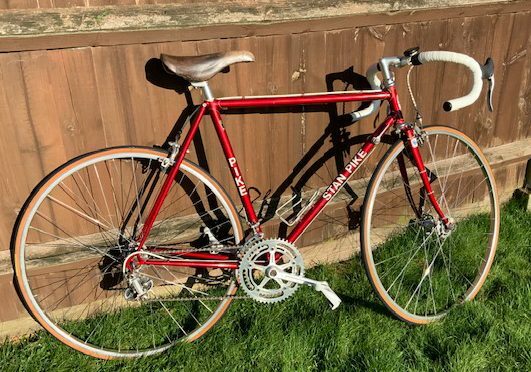 It was hardly used as I finished cycling just before I received the frame. 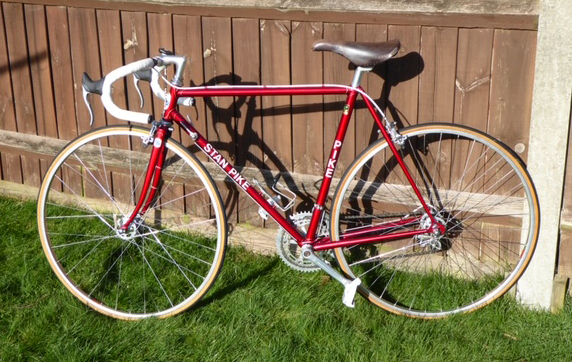 I ordered and bought the 21.5” Stan Pike frame from CT Haines Cycles, Salisbury in 1980 or 1981. 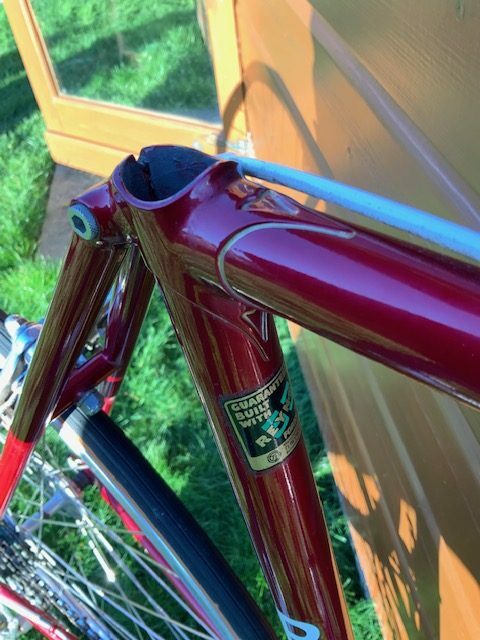 The frame was bought for time-trialling, but between ordering the frame and receiving it I had stopped racing and was spending any spare time windsurfing. 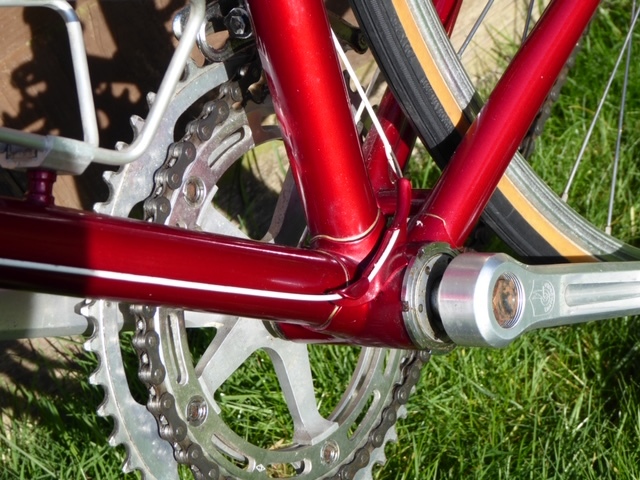 Consequently the bike was built with the equipment detailed but it wasn’t used initially. 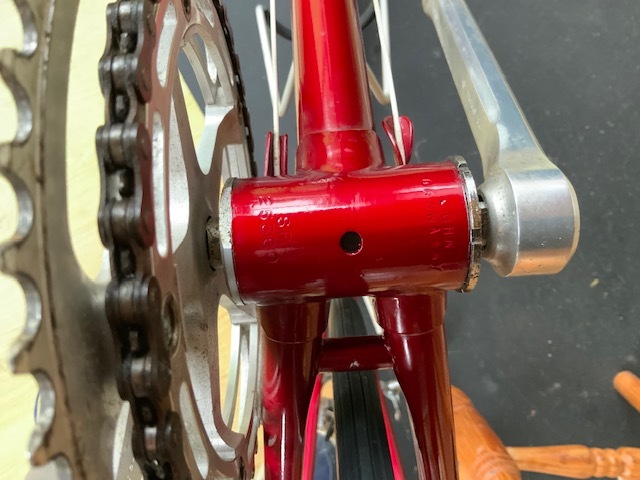 The bike was used in the early 90’s when I did a couple of triathlons but I would guess that the bike has done no more than 500 miles, as can be seen from the tyres which are original and show no tread wear. 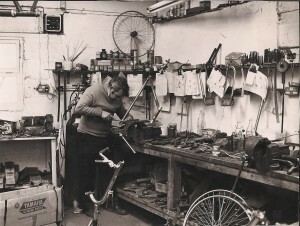 For most of the bikes life it has been stored in dry, well-aired lofts and consequently the frame and equipment are in good condition. 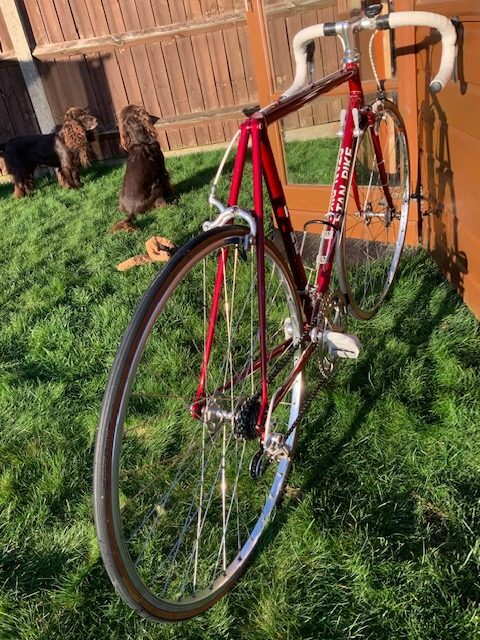 When the bike was stored the originally fitted Campag fluted seatpin and Concor saddle were removed for fear of the seatpin seizing in the frame, unfortunately these have been mislaid. 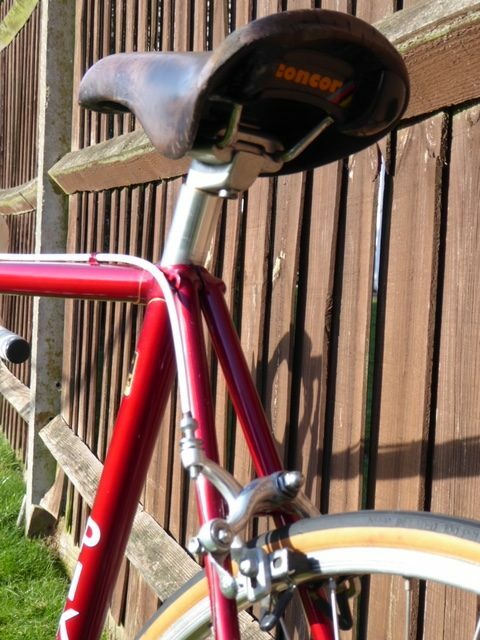 The unbranded seatpin currently fitted is approximately 19 years old, the well worn Concor saddle is of a similar age to the frame. 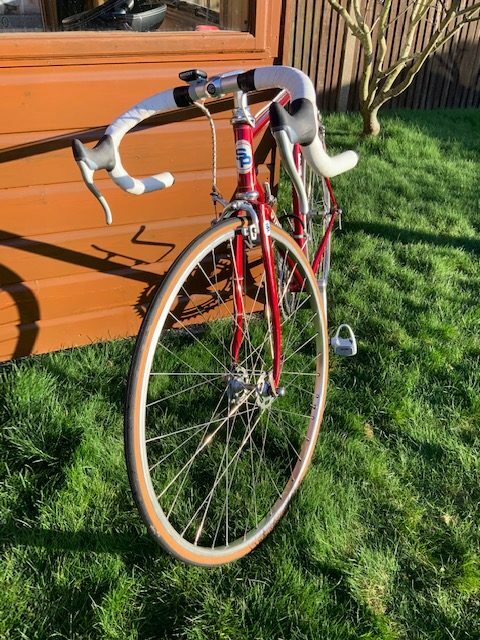 The bike originally had Campag record road pedals and toe clips but when used for triathlon it was fitted with the Look pedals. It was also in the early 90’s that the Avocet computer, which still works, was fitted. Colour Metallic red, original paintwork and decals. 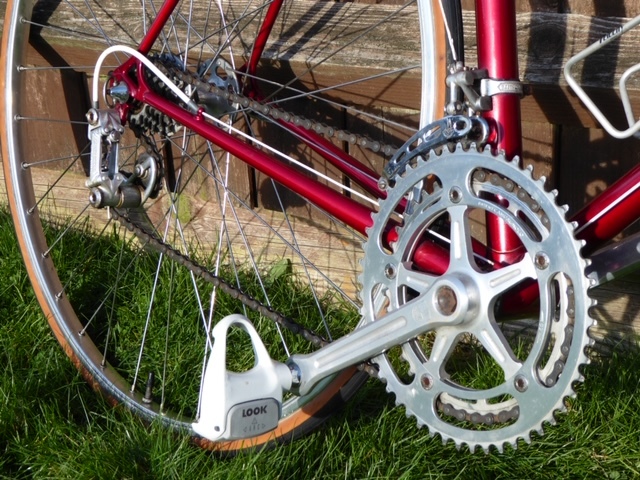 John, who is based in Lymington, wants the bike ‘to go to someone who will cherish it’. If you’re interested in purchasing this beauty, let me know. Bikes like this are as rare as hen’s teeth – I doubt we will ever come across one in such wonderful original condition again. 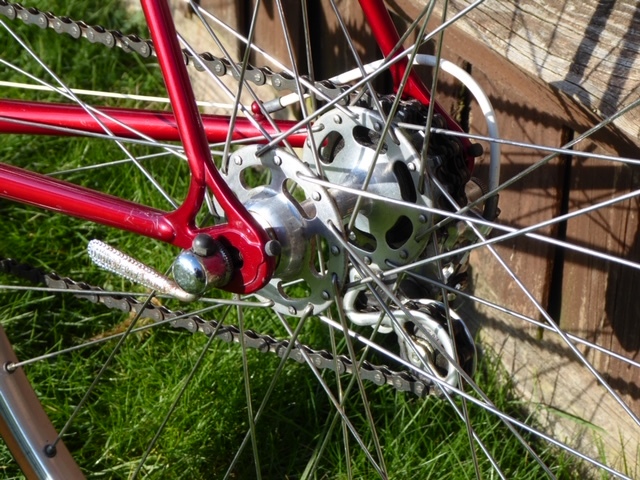 UPDATE: Sold in less than 12 hours of the bike going online – to Rob Froud for £700.